Our personalised suitcase is a travel essential, perfect for globe trotters & weekend trips away. 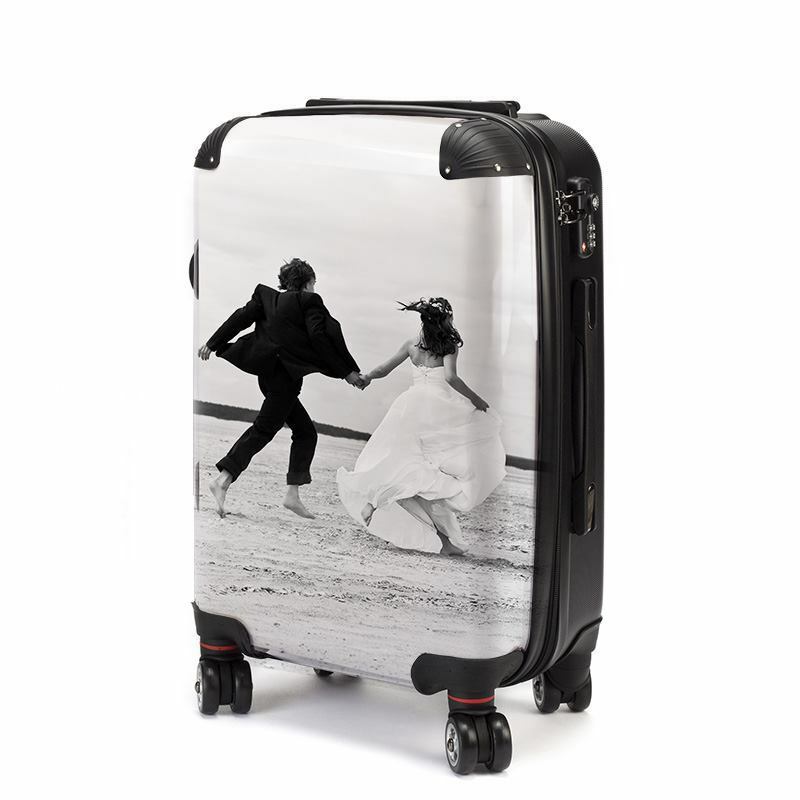 Featuring TSA approved lock technology, 4 wheels for easy manoeuvre and printed with your gorgeous photos or designs, your cabin sized luggage suitcase will standout on the baggage claim carousel and turn heads on the 'runway'. Have now bought two of their personalised suitcases for Christmas Presents. Delivery was swift and the quality is very good and exceeded my expectations. Would definitely recommend buying their products. If your other half has to travel a lot, then why not design a suitcase for them, allowing them to carry a photo of the family around? Select your most special photos of you and the kids so this way, the family are always with them. (And you will always spot your suitcase easily on the belt or in the cabin).